Southern pecan trees require a long growing season, making short-season varieties most suitable for Virginia landscapes. 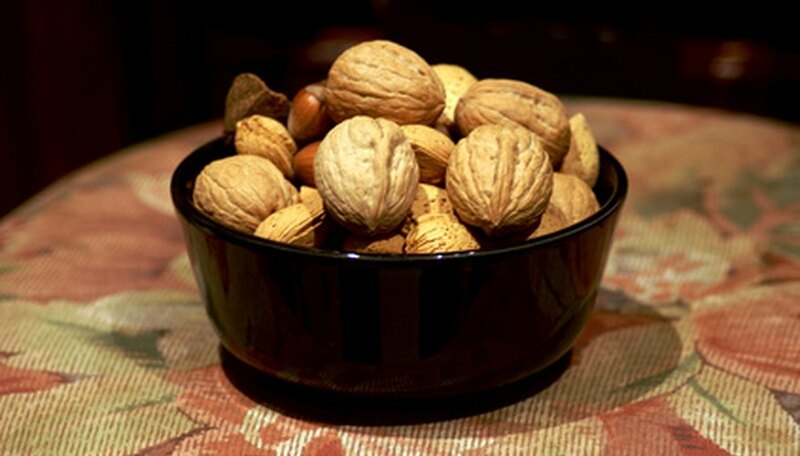 Northern varieties have high-quality nuts, but they're smaller in size than Southern pecans. University of Virginia extension predicts some Northern pecans, though not common in Virginia, may prove well suited to cultivation in the middle and southern Piedmont regions. Cultivation has improved wild Northern pecan types in various ways and their flavor is high quality, but smaller nut size and thicker shells are drawbacks. The Northern pecan cultivar, colby, is commonly used as rootstock because of its cold hardiness. It is productive and reliable, but produces thick-shelled nuts with poor cracking quality compared with Southern, thin-shelled pecans. Colby is often used as a grafting rootstock tree nurseries. Its average nut weight is between 6 to 7 g per nut. Hardy in U.S. Department of Agriculture Hardiness Zones 5 through 9, colby grows 70 to 100 feet tall, with 40 to 75 foot spread. Grow colby and other pecan cultivars in well-drained, moist soils, in full-sun locations. Norton pecans reliably produce heavy-shelled, 6 to 7 g nuts that remove easily from the shells. Kansas State University reports Norton pecan tree are slow to produce nuts, but consistent thereafter. Norton is cold hardy in USDA Hardiness Zones 5 through 9. Cultivar Kanza is highly praised in extension literature as having nuts with superb shell characteristics and strong adaptability to growing conditions such as drought. Like other Northern pecans with improved nut qualities, Kanza produces 6 to 7 g nuts. It is cold hardy in USDA Hardiness Zones 5 through 9. Major, hardy in USDA Zones 5 through 9, like 'Colby,' is considered another “old standard” Northern pecan, producing excellent, but hard to crack nuts weighing an average of 6 to 7 g each. Chetopa pecan trees produce thin-shelled nuts, but its limbs break easily. Pawnee is an early ripening pecan cultivar bearing large fruit. Chetopa and Pawnee both produce nuts weighing an average of 6 to 7 g each. Pawnee is smaller than other cultivars, only reaching 20 to 30 feet tall, making it a good choice for smaller Virginia landscapes.